CooksRecipes has quality, kitchen-tested recipes for chicken burgers and patties that you can count on for successful deliciousness. 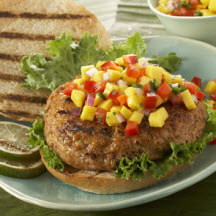 A tasty fresh mango salsa gives these chicken burgers a jazzy island attitude, mon! 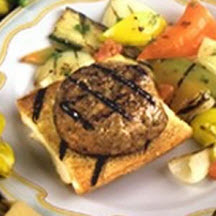 Wow your family and guests with these tasty turkey burgers served on toasted French bread topped with delicious grilled ratatouille. 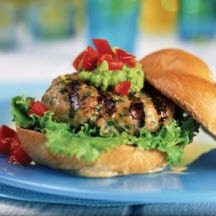 Green onions, parsley, cilantro and lime zest put the "verde" in these flavorful Southwestern-style chicken burgers.